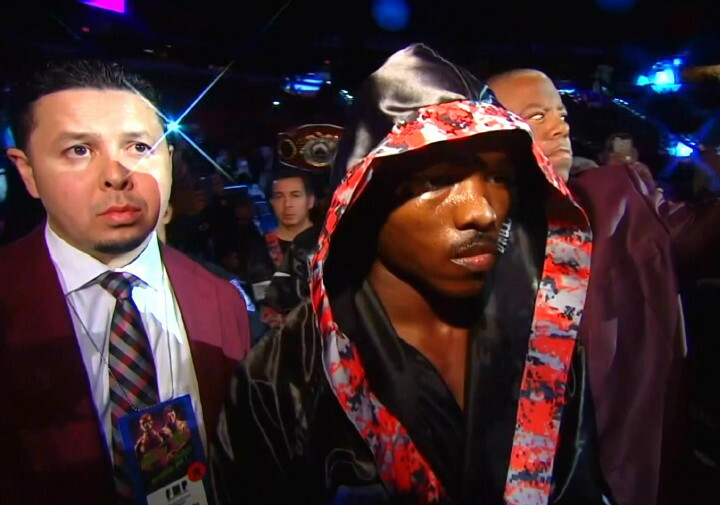 Warrior Timothy Bradley, a fighter rarely seen in a dull fight, has signed a two year extension with Top Rank Promotions, the promoters “Desert Storm” has been with for over half of his pro career; so reports Dan Rafael of ESPN.com. Bradley, last seen losing his rubber-match with Manny Pacquiao in April, wants to fight again in December of this year, so said Todd duBoef, and if this doesn’t happen, the plan will be for the former 140 and 147-pound champ to box again in January of next year. The man Bradley, 33-2-1(13) wants to face before his exciting career comes to an end is another former champ who is approaching the final great moments of his career: Miguel Cotto. “That’s one of the fights Tim would like before he is done with his career,” Monica Bradley said to ESPN.com. Cotto, at age 35, is three years older than Bradley and the Puerto Rican legend has not boxed since losing a competitive decision to the much bigger and younger Canelo Alvarez last November. But Cotto is looking to fight again in December and Bradley would make a great opponent choice. Bradley has only lost to all-time great Pacquiao during his career, and with his sheer desire, the fact that he is always in great physical shape and taking into consideration all his other qualities – great chin, work-rate, stamina, speed and boxing and fighting ability – there is no reason to believe the Palm Springs man is anywhere close to finished. So he couldn’t beat Pac-Man two times out of three (the critics of the decision win Bradley received after their first fight, and there are many, would say three times out of three) – so what! Bradley remains a great fighter and a pound-for-pound entrant. Cotto, a future Hall of Famer, would have to agree on a weight at which to fight Bradley (yet another catch-weight affair, no doubt) but if it could be worked out, this one would likely be a special fight. Bradley of course, has given fans some incredible action throughout his career – his winning war with Ruslan Provodnikov being one of the most intense and savage fights of recent years – and as long as he continues to fight, fans can expect more of the same from the man who turned pro back in 2004. Interestingly, no, mouth-wateringly, the ESPN piece mentioned the possibility of Bradley possibly getting it on with some big-name Al Haymon fighters now that Bob Arum and Haymon have settled their lawsuit. Just think of it: Bradley against Keith Thurman, Danny Garcia, Shawn Porter or Errol Spence Junior! Or maybe Bradley and Amir Khan – who looked close to fighting one another five or six years ago – will finally meet before they both call it a career. Previous boxing news: Lanell Bellows Fighting Sept. 16! Next boxing news: Orlando Salido: Mexico’s hardest working fighter!